Stuttgart – 125 years ago the Kaiserliche Patentamt (Imperial Patent Office) in Berlin granted Benz & Co. in Mannheim the patent No. 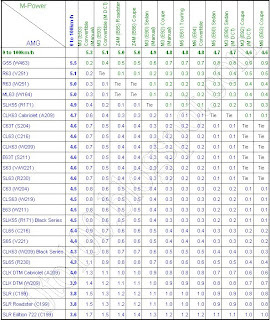 37,435 for a “vehicle with a gas engine drive system”. This patent is see as the birth certificate of the automobile. “Patentirt im Deutschen Reiche vom 29. Januar 1886 an” – “patented in the German Empire from 29. January 1886 on”: thus reads the document; and that very day the automobile’s triumphal march began that was to change the world to an unimaginable extent. The Federal Finance Ministry is issuing a special postage stamp and a special coin to celebrate the automobile’s 125th birthday. 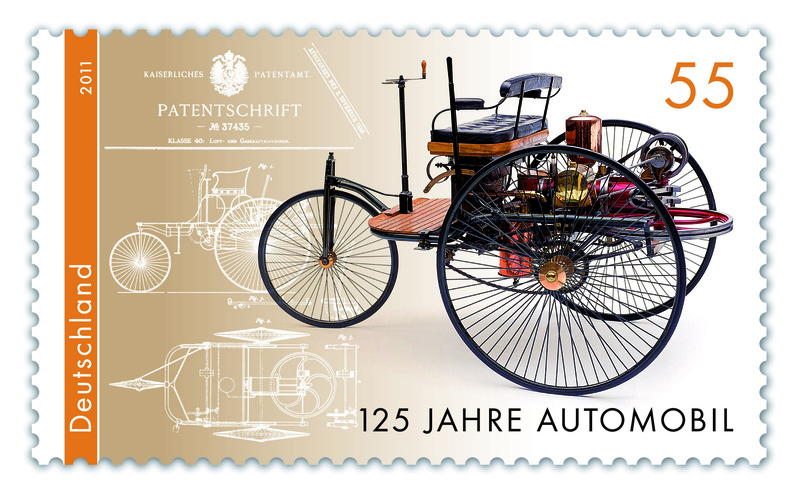 The special postage stamp shows the first motor car in the world, with a drawing of the patent of 29th January 1886 as a background. The stamp has a denomination of 55 cents and will be available at all Post Offices and agencies from 5th May 2011 on. From 9th June 2011 on a special commemorative coin “125 years of the automobile” with a denomination of 10 euros, will be issued, available in banks and savings banks. With a dynamic, modern graphic design based on the circular shape on the steering wheel, both obverse and anverse deal with the theme of individual mobility such as that which the motor car makes possible. Official presentation of both commemorative editions by the Federal Finance Ministry is to take place in Berlin on 7. June 2011. Transcending space and time reaches a new dimension with the Benz patent motor car. Carl Benz’s invention is the world’s first automobile, which through its autonomy and availability created the foundation for the individualisation of transport. Starting with the Benz patent motor car, the new means of transport opens up for broad segments of the population broad new horizons and countries undreamed of until then. The associated fascination remains unbroken to this day. And the transport of goods and passengers experiences a dramatic change thanks to the flexibility, performance and economy of the automobile. The same year as Carl Benz, Gottlieb Daimler builds his first automobile. On 8. March 1886 he orders a carriage from carriage construction factory Wilhelm Wimpff & Sohn in Stuttgart. He has his compact, fast-running petrol engine installed in this carriage. Daimler’s focus is on motorising transport on land, on water and in the air, he never loses sight of the universal application possibilities of the engine he has invented. The real invention of Carl Benz, who had already carried out his first test runs in October 1885 with his three-wheeled patent motor carriage under exclusion of the public, was the self-sufficient, closed concept of an autonomously driven motor car. It is the first comprehensively conceived automobile – engine, chassis and drive system are exactly adapted and adjusted to each other, forming a unity. The first automobile in the world has a horizontal single-cylinder engine that produces an output of 0.75 hp (0.55 kW) from its displacement volume of 954 cc at a speed of 400 rpm. It can reach a top speed of 16 km/h. At first, Benz trusts a single front wheel, because he sensibly considers the kind of front-axle steering system used in carriage construction, the turntable steering, to be a technical dead-end alley. It is only after Benz himself invents and patents a “carriage steering mechanism with steering circles tangential to the wheels”, that he builds a four-wheeler from 1893 onwards. With his models Victoria and Vis-à-Vis he returns to typical carriage build, but with the “engine velocipede” a year later, he produces the first automobile of the world made in large-series production. The patent motor car has its public maiden journey on 3. July 1886 on the Ringstraße in Mannheim. Newspapers report enthusiastically about the event. Benz does not remain idle, satisfied with the first version; he develops the three-wheeler further in several steps, makes it marketable and even builds it in series. And with the vehicle he enjoys international success because he sells it – in particular – abroad. With this Benz is far head of all those other inventors who never manage to go beyond the research stage.